My other grandma told me stories about her life in Dalian, China; a city occupied and ruled by the Japanese with an iron fist. Her father was a general there, and she lived in a lavish mansion with Chinese maids and helpers all the while oblivious to the torture and killing that was going on outside the wall’s of her estate. Another grandpa told me about his battles across China and Thailand during World War II. How he was wounded. Taken prisoner. Yet none of them spoke these stories with hatred, anger, or even remorse. Despite the means, all of the elderly I spoke with knew that whatever they did helped create the Japan of today. A peaceful Japan. A country that is more outspoken against war than any other. August 6th marked the 70th anniversary of the Hiroshima Bombing. 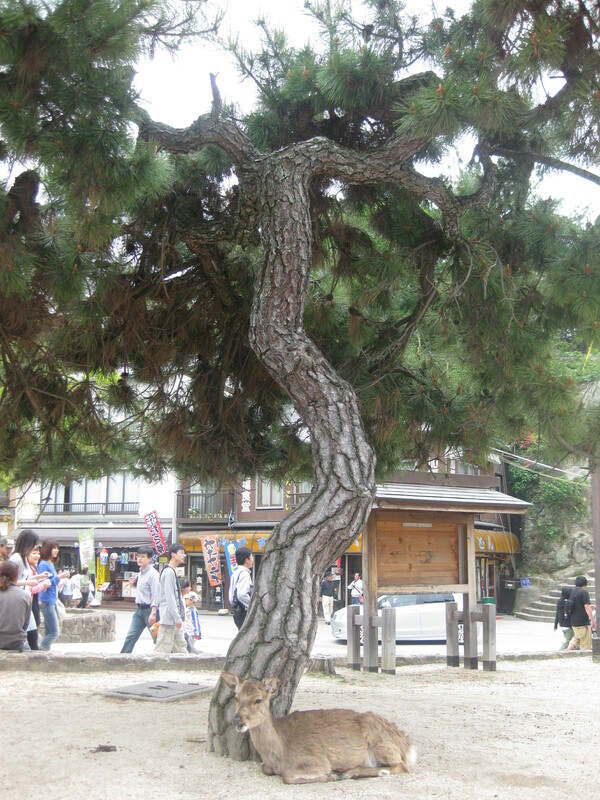 It’s a day that has me reflect on both past, present and future Japan. In fact, the Japanese Remember the Anniversary of Hiroshima as a day to celebrate the continuation of peace in the world, not as a day to recount tragedy. For some unknown reason, I always longed to go to Hiroshima. I was fascinated with World War II in high school history class, and growing up I read books like “Sadoko’s 1,000 paper cranes,” the story of a girl diagnosed with leukemia from the bomb’s radiation. I reflected on what America did, and I often wondered about what else could have been done. What we had done. In college I read a book called “Kuroi Ame (Black Rain)” by Masuji Ibuse. It’s a powerful book, a classic of Japanese literature, and an all too realistic retelling of the horrors that happened in Hiroshima. It moved and inspired me. 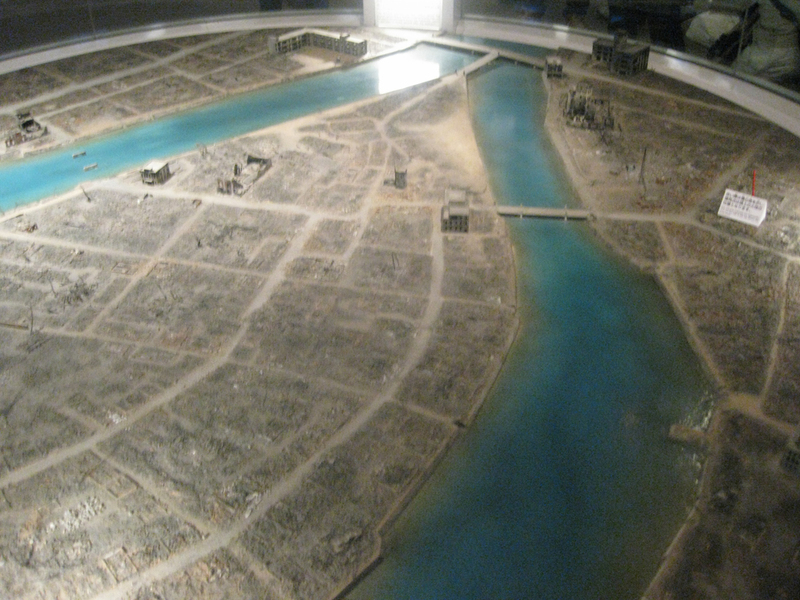 For some reason, I desperately wanted to see Hiroshima with my own eyes. I wanted to set foot in the city that was crushed by war and rebuilt on peace. I wanted to see what America had done. When I signed up for the JET program, I even listed Hiroshima as my #1 choice. 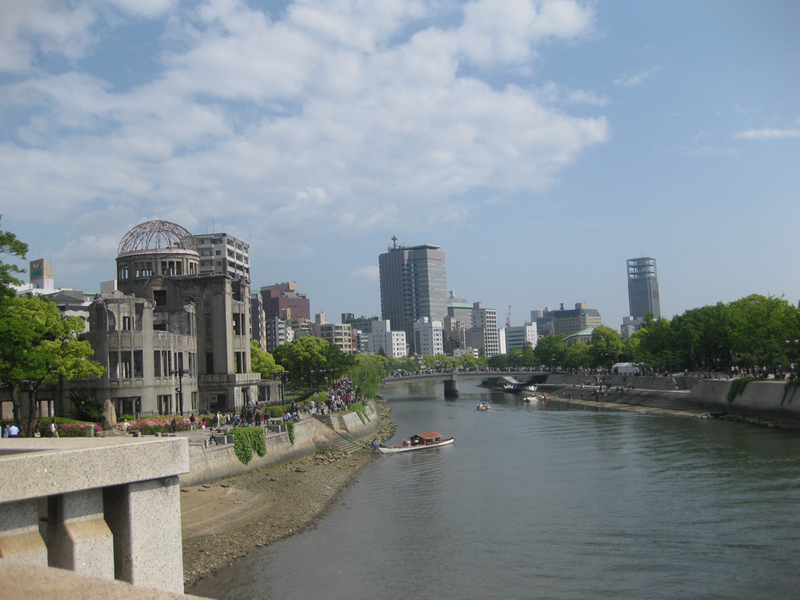 And Hiroshima was, by far, my favorite trip during my stay in Japan. The city sparkles. 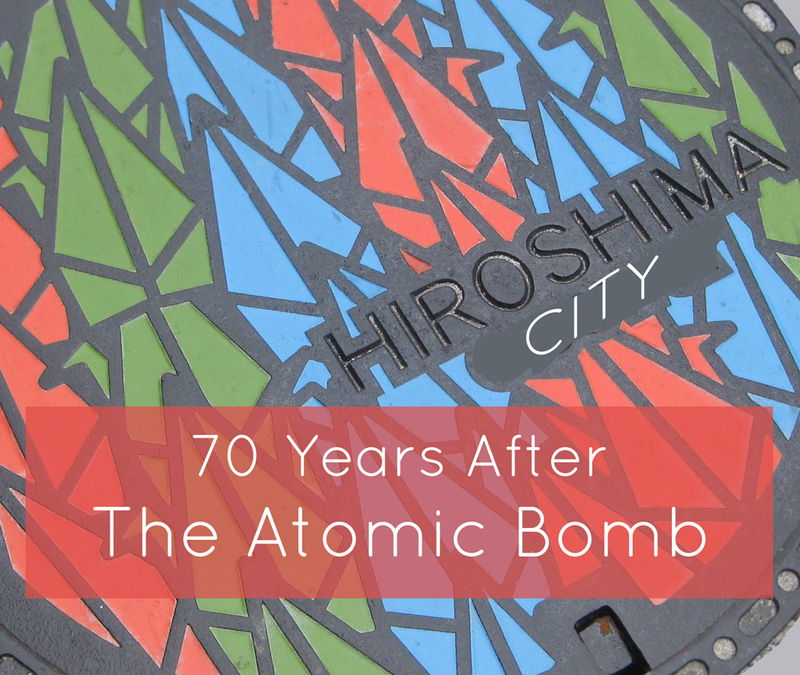 If an alien had landed on Earth and visited Hiroshima, and you told them that this city was laid to waste by an atomic bomb not even a century ago, they would be skeptical–because Hiroshima is that beautiful. 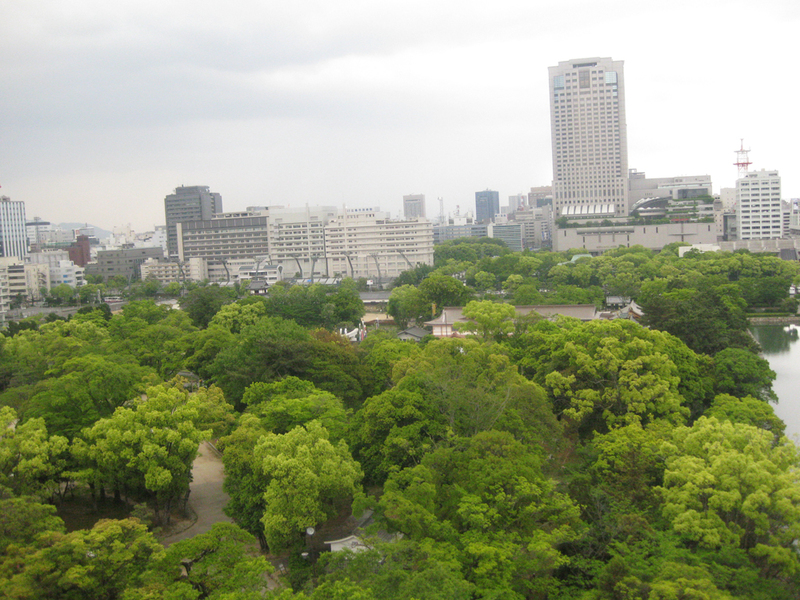 Unlike other cities in Japan, it feels newer. The buildings don’t seem as old. 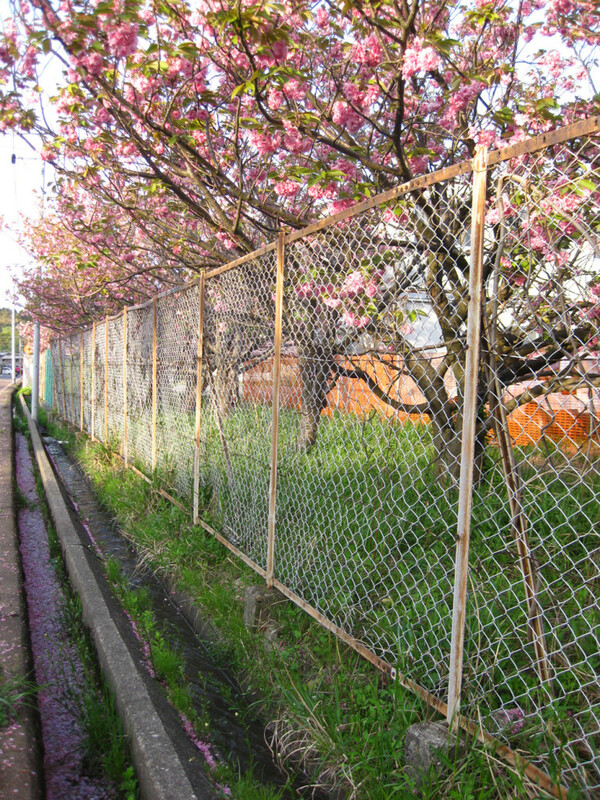 There are no ancient temples or shrines interspersed throughout neighborhoods. Even the castle is a recreation of what was once there and not the original. The peace garden is lovely. Rows upon rows of flowers, a statue of Sadoko, the infamous rainbow of peace. The museum is a powerful experience. I don’t really know how to describe it, other than feel a strong sense of guilt for what we did. In the textbooks we’re taught that America had to drop the bomb in order to save the lives of ground soldiers and put an abrupt end to the war. Some people still wonder if that was really the case, or if the use of nuclear weapons is ever justified. That’s all I could think about, walking through that museum. Despite what America had done, the memorial museum does not play the blame game. In fact, there’s a whole section of the museum devoted to the continuation of peace. Japan is one of the strongest advocates for complete global elimination of nuclear weapons, and pushes for peace more than any country. Even without going into the museum, it’s easy to see that the Japanese value harmony and tranquility more than anything else. 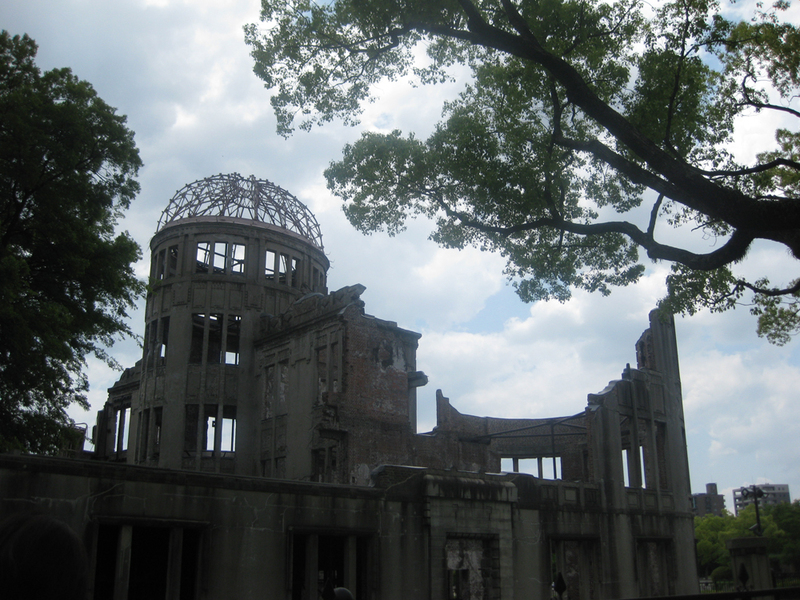 Of course, if you go to Hiroshima seeing the “A-Bomb Dome” is a must. In this new and modern metropolis, it’s the only reminder that this was a city literally wiped off the map by a single bomb. 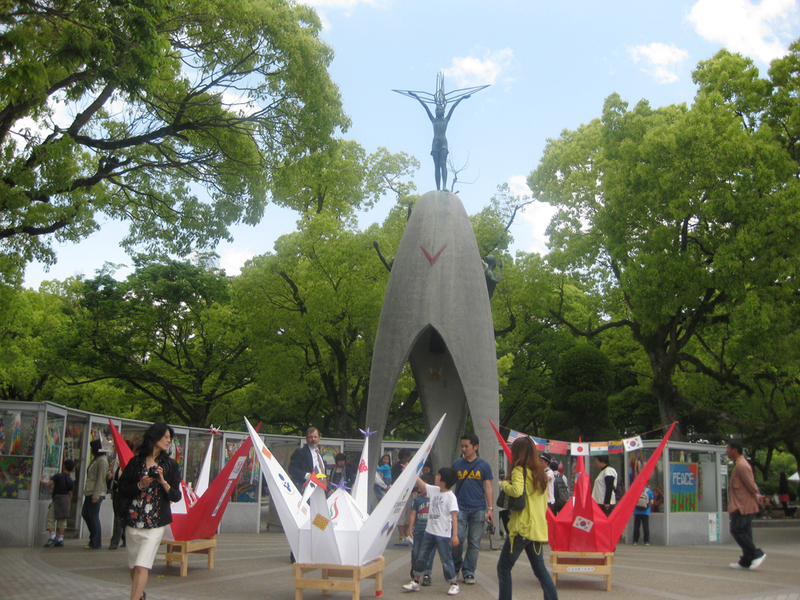 It stays as a reminder to everyone that Hiroshima endured, and it resurrected. It stands tall today as a sign of resilience and peace. While the main highlight of Hiroshima is, without a doubt, the war museum and memorial park, the city itself is awesome. The people are friendly, they have a cool accent, and the food there is to die for. 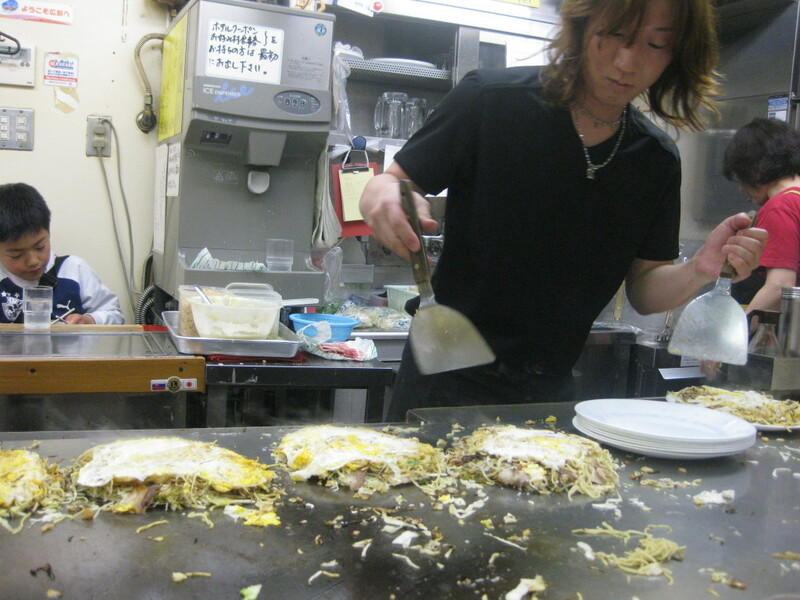 One of my favorite Japanese dishes, okonomiyaki (Japanese pizza, basically), is a specialty in Hiroshima–and unlike the Osaka version, it’s made with yakisoba noodles (so it’s extra delicious!). 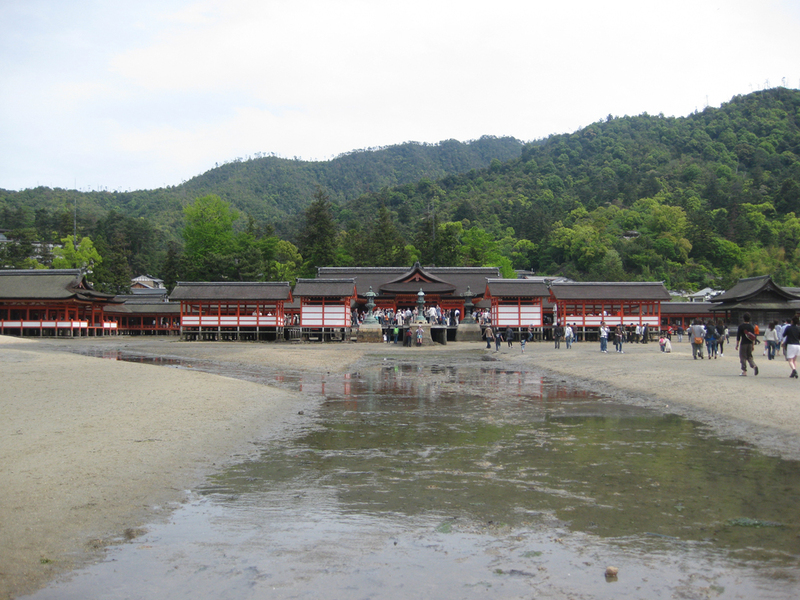 A mere 30 minutes away by ferry is also Miyajima, a UNESCO World Heritage Site. 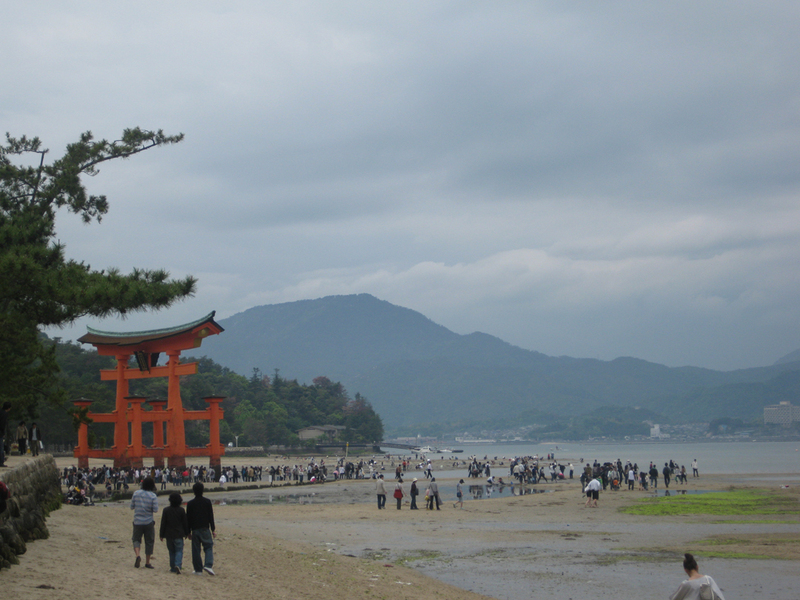 It’s home to the gigantic Tori Gate (shinto gate) floating in the sea, which is often featured in many travel photos for Japan. This gate is massive and it’s awesome to float by and then later touch from the ground, when the tide goes out. 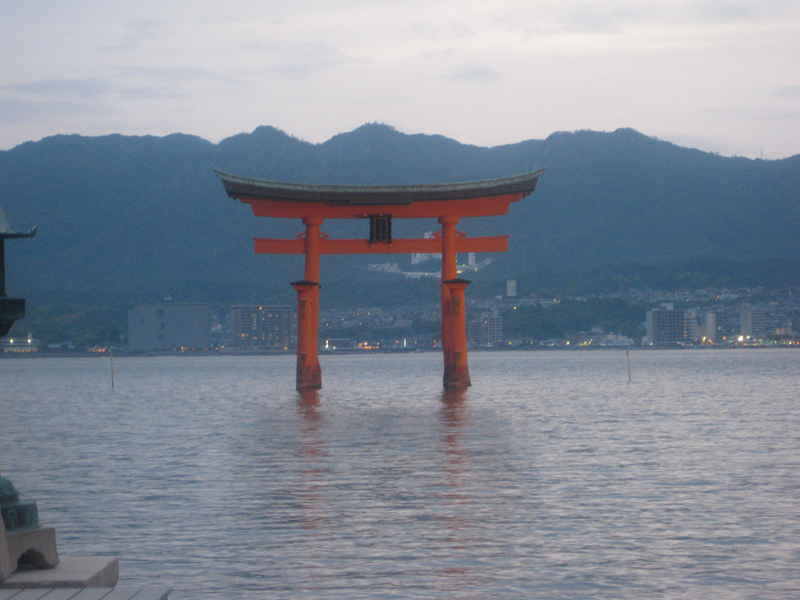 This Tori Gate leads to Ikutsushima Shrine, a shinto shrine that floats on the sea at night when the tide is high, and returns to land when the tide goes out. It’s also home to free roaming deer, momiji (maple) treats, and a myriad of hikes that give you some of Japan’s best views. It’s hands down one of the best trips I’ve ever taken in my life. 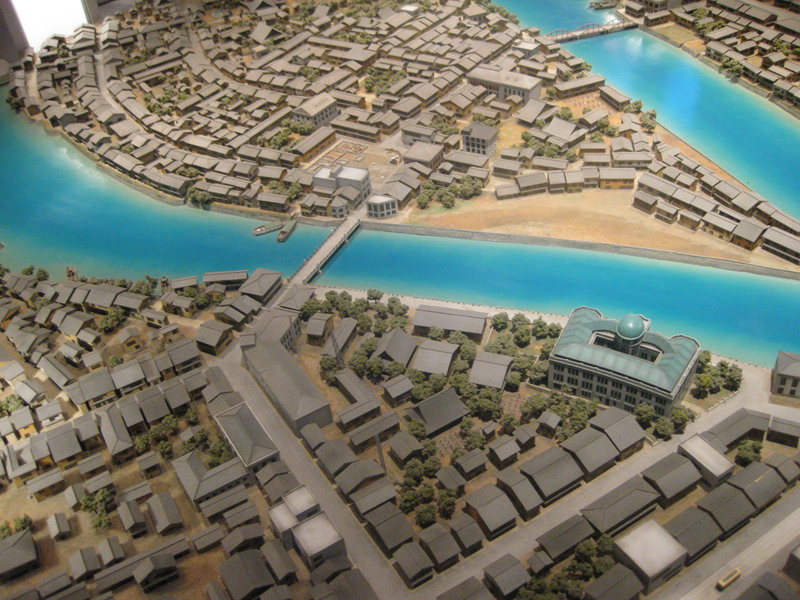 Basically, if you’re going to Japan, you have to go to Hiroshima. It’s too beautiful to pass up. 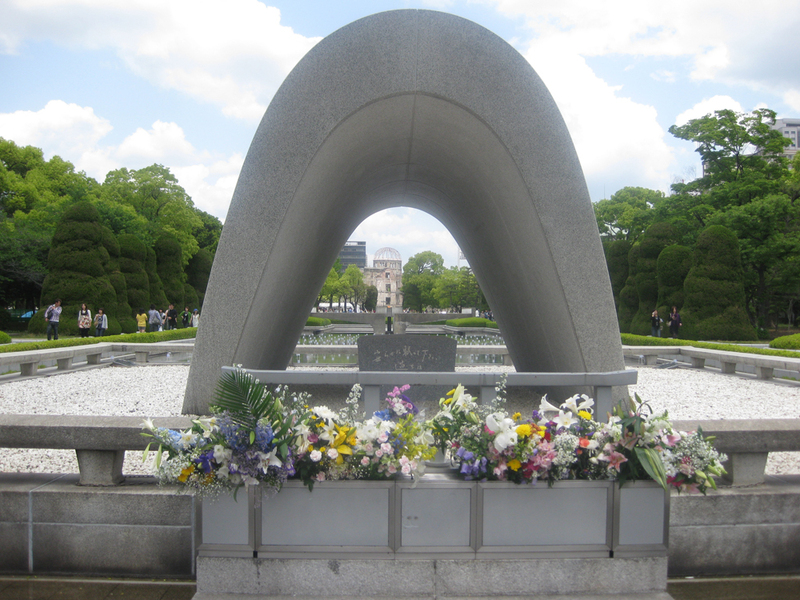 The anniversary of Hiroshima is also an important reminder for current Japanese politics. Although it’s not televised much stateside, Japan’s prime minister has changed the interpretation of the country’s constitution so that the country can freely go to war and revamp their army at will–and he’s pushing it through legislation as we speak. He will (quite illegally) push through a new law that says Japan can now draft soldiers, send troops to war and defend themselves when need arise. The Japanese, who take pride in article 9 of their constitution (to be a pacifist country, essentially), are livid. The usually quiet and harmonious Japanese have taken to the streets and continue to strongly protest against the ruling, and against Prime Minister Abe. I know that Abe has a point, that with a rising China and a crazy North Korean neighbor, maybe they do need some backup. Yet after all the country has been through, and after my first hand experience of Japan’s peaceful and harmonious society, I hope that this militaristic law is repealed. The country of Japan is a prime example of what real peace looks like, and I hope it can stay that way. Do you have any thoughts on Hiroshima or Nuclear Weapons? What do you think about Japan having the ability to go to War again? I’m glad you posted your WWII oral histories, too. Also, I had no idea that illegal law had been passed! Wow. The response doesn’t shock me, given how adamant the Japanese women I know are about never having an army. I always learn so much (and get excellent pictures) from your posts. Did you read Sadako growing up? Oh man, it’s such a heart touching tale! I think that book is a good way to teach children about history, and to learn compassion for others. Yeah Japanese people are pretty apathetic when it comes to politics, so it was really shocking to see all of them out on the street protesting. Even my friends in Tokyo walked up to parliament and demanded Abe repeal the law! So glad you liked the post! 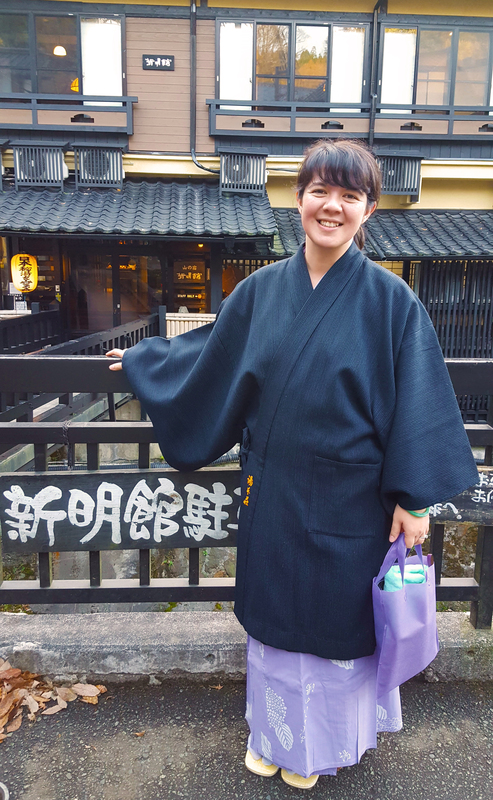 A bit of a downer I suppose, but I love Hiroshima City and history so I just had to write about it! This was a wonderful post (well, they all are, but I didn’t think I’d get this excited about Hiroshima). 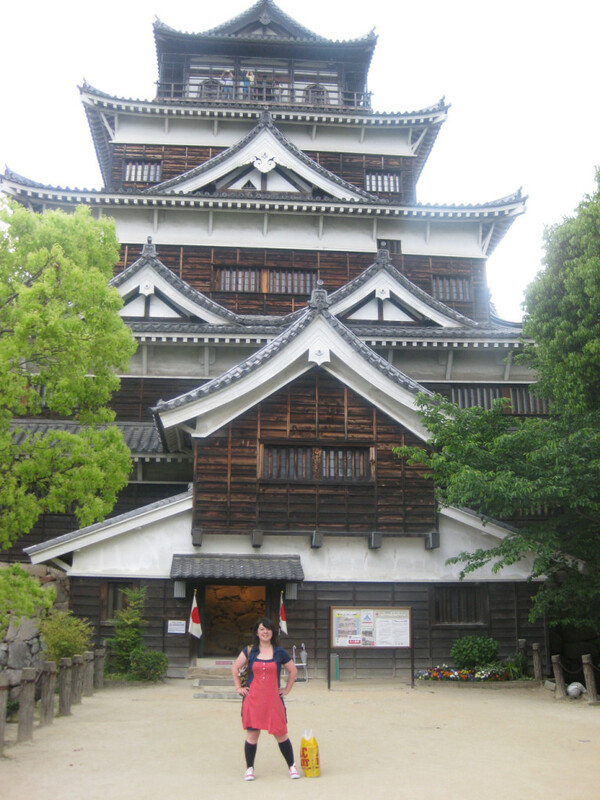 I hope to visit Japan again someday. 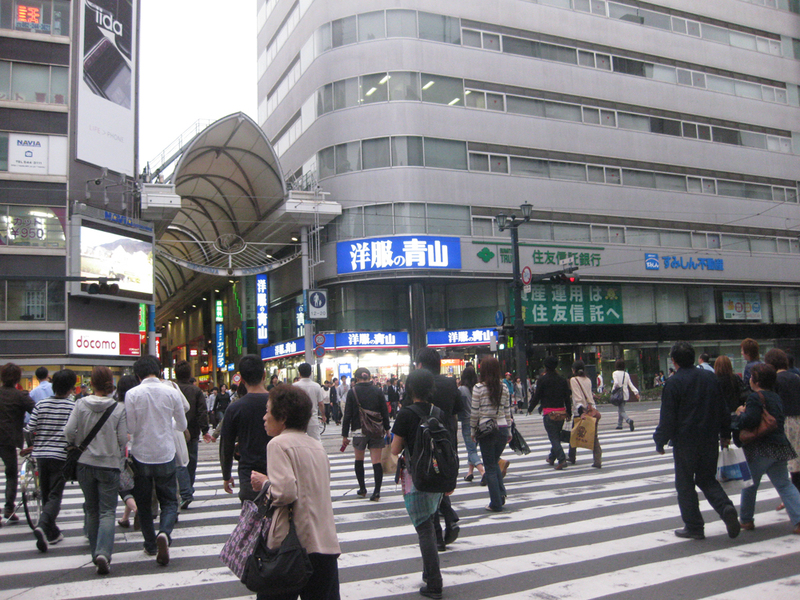 I was only very briefly in Tokyo about ten years ago. The history, food, and culture are all so intriguing. Glad you enjoyed it Rosie! It’s a bit of a downer, but I really love Hiroshima. I think it’s a beautiful city with an important history. I hope you can go back to Japan for a visit. It’s not the best place to live, but as a vacation it’s absolutely lovely. I looked up the books you mentioned after reading this. They sound really interesting and I downloaded Sadoko’s 1,000 paper cranes.” My reading list seems never ending. . . .
Yeah Sadoko is a good read, it’s super short too! I think it’s a good read for elementary school kids (that’s when I read it); helps introduce history while igniting inspiration. I also need to read up on the books you recommended! Man, I hate getting older, it seems like I never have time for the quality stuff in life–like reading! Mmmm I might have read that book, it sounds familiar, but I don’t really remember the story or anything :/ I might have been quite young. I love the stories by old people. I would like to speak to C.’s grandma about her youth, the cultural revolution, etc (she’s 89) but she doesn’t speak Mandarin and I don’t want to disturb her. My paternal grandfather joined the Spanish civil war (1936-1939) and he was always talking about it. He even had part of a bullet on his forehead, between the skin and the bone! The doctors thought it was safer to leave it there and he had it until the day he died. According to the lattest version of events, thats not exactly true to the letter but close enough. He wants to make it so the JSDF can assist allies in peace keeping conflicts, but in Japanese speak, basically its so they can have a standing army, so its back to circle logic word games . This clever maniulation has been in effect for some time now, since the post fukushima disaster, kind of a way to boost national spirits but actually escalated a real mess. the mess as always there, but needed an event to escalate it. There is truth though, that China is on the rise and as the previous japanese prime minister warned, the right wingers were playing with the tail of the tiger. China has really ramped up their game since then and its getting kind of scary. Maybe Trump can help reel it all back to where it as; just the occasional nutjob putting flags on rocks in the senkakus instead of new islands being built for bases by China.